The work of Sigmund Freud, the Austrian founder of psychoanalysis, marked the beginning of a modern, dynamic psychology by providing the first well-organized explanation of the inner mental forces determining human behavior. Sigmund Freud was born on May 6, 1856, in Freiberg, Moravia (now Czech Republic). Sigmund was the first child of his twice-widowed father's third marriage. His mother, Amalia Nathanson, was nineteen years old when she married Jacob Freud, aged thirty-nine. Sigmund's two stepbrothers from his father's first marriage were approximately the same age as his mother, and his older stepbrother's son, Sigmund's nephew, was his earliest playmate. Thus, the boy grew up in an unusual family structure, his mother halfway in age between himself and his father. Though seven younger children were born, Sigmund always remained his mother's favorite. When he was four, the family moved to Vienna (now the capital of Austria), the capital city of the Austro-Hungarian monarchy (the complete rule of Central Europe by Hungary and Austria from 1867 to 1918). 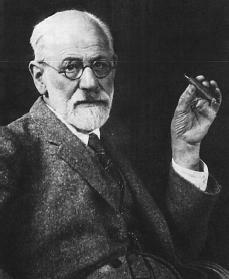 Freud would live in Vienna until the year before his death. Because the Freuds were Jewish, Sigmund's early experience was that of an outsider in an overwhelmingly Catholic community. However, Emperor Francis Joseph (1830–1916) had liberated the Jews of Austria, giving them equal rights and permitting them to settle anywhere in the empire. Many Jewish families came to Vienna, as did the Freuds in 1860, where the standard of living was higher and educational and professional opportunities were better than in the provinces. They lived in an area that had a high concentration of Jewish people, called the Leopoldstadt slum. The housing was cramped and they had to move often, sometimes living with his father's family. By his tenth year, Sigmund's family had grown and he had five sisters and one brother. Freud went to the local elementary school, then attended the Sperl Gymnasium (a secondary school in Europe that students attend to prepare for college) in Leopoldstadt, from 1866 to 1873. He studied Greek and Latin, mathematics, history, and the natural sciences, and was a superior student. He passed his final examination with flying colors, qualifying to enter the University of Vienna at the age of seventeen. His family had recognized his special scholarly gifts from the beginning, and although they had only four bedrooms for eight people, Sigmund had his own room throughout his school days. He lived with his parents until he was twenty-seven, as was the custom at that time. Freud enrolled in medical school in 1873. Vienna had become the world capital of medicine, and the young student was initially attracted to the laboratory and the scientific side of medicine rather than clinical practice. He spent seven instead of the usual five years acquiring his doctorate. Freud received his doctor of medicine degree at the age of twenty-four. He fell in love and wanted to marry, but the salaries available to a young scientist could not support a wife and family. He had met Martha Bernays, the daughter of a well-known Hamburg family, when he was twenty-six; they were engaged two months later. They were separated during most of the four years which preceded their marriage, and married in 1887. Of their six children, a daughter, Anna, would become one of her father's most famous followers. Freud spent three years as a resident physician in the famous Allgemeine Krankenhaus, a general hospital and the medical center of Vienna. He spent five months in the psychiatry (the area of medicine involving emotional and mental health) department headed by Theodor Meynert. Psychiatry at this time was rigid and descriptive. The psychological meaning of behavior was not itself considered important; behavior was only a set of symptoms to be studied in order to understand the structures of the brain. Freud's later work changed this attitude. Freud, during the last part of his residency, received some money to pursue his neurological (having to do with the nervous system) studies abroad. He spent four months at the Salpêtrière clinic in Paris, France, studying under the neurologist (a person who studies the nervous system and treats people with neurological problems) Jean Martin Charcot (1825–1893). Here, Freud first became interested in hysteria (an illness in which a person complains of physical symptoms without a medical cause) and Charcot's demonstration of its psychological origins. Freud returned to Vienna, established himself in the private practice of neurology, and married. He soon devoted his efforts to the treatment of hysterical patients with the help of hypnosis (the act of bringing about a change in a person's attention which results in a change in their bodily experiences), a technique he had studied under Charcot. Joseph Breuer (1857–1939), an older colleague (a partner or an associate in the same area of interest), told Freud about a hysterical patient whom he had treated successfully by hypnotizing her and then tracing her symptoms back to traumatic (emotionally stressful) events she had experienced at her father's deathbed. Breuer called his treatment "catharsis" and traced its effectiveness to the release of "pent-up emotions." Freud's experiments with Breuer's technique were successful. Together with Breuer he published Studies on Hysteria (1895). At the age of thirty-nine Freud first used the term "psychoanalysis," (a way to treat certain mental illnesses by exposing and discussing a patient's unconscious thoughts and feelings) and his major lifework was well under way. At about this time Freud began a unique project, his own self-analysis (the act of studying or examining oneself), which he pursued primarily by analyzing his dreams. A major scientific result was The Interpretation of Dreams (1901). By the turn of the century Freud had developed his therapeutic (having to do with treating a mental or physical disability) technique, dropping the use of hypnosis and shifting to the more effective and more widely applicable method of "free association." on various aspects of human behavior. He recognized that the most powerful among the unconscious forces, which lead to neuroses (mental disorders), are the sexual desires of early childhood that have been shut out from conscious awareness, yet have preserved their powerful force within the personality. He described his highly debatable views concerning the early experiences of sexuality in Three Essays on the Theory of Sexuality (1905), a work that first met violent protest, but was gradually accepted by practically all schools of psychology (the area of science involving the study of the mind). After 1902 Freud gathered a small group of interested colleagues on Wednesday evenings for presentation of psychoanalytic papers and discussion. This was the beginning of the psychoanalytic movement. Swiss psychiatrists Eugen Bleuler and Carl Jung (1875–1961) formed a study group in Zurich in 1907, and the first International Psychoanalytic Congress was held in Salzburg in 1908. In 1923 Freud developed a cancerous (having to do with cancer cells that attack the healthy tissues of the body) growth in his mouth, which eventually led to his death sixteen years and thirty-three operations later. In spite of this, these were years of great scientific productivity. He published findings on the importance of aggressive as well as sexual drives ( Beyond the Pleasure Principle, 1920); developed a new theoretical framework in order to organize his new data concerning the structure of the mind ( The Ego and the Id, 1923); and revised his theory of anxiety to show it as the signal of danger coming from unconscious fantasies, rather than the result of repressed sexual feelings ( Inhibitions, Symptoms and Anxiety, 1926). In March 1938 Austria was occupied by German troops, and that month Freud and his family were put under house arrest. Through the combined efforts of many influential friends who were well connected politically, the Freuds were permitted to leave Austria in June. Freud spent his last year in London, England, undergoing surgery. He died on September 23, 1939. The influence of his discoveries on the science and culture of the twentieth century is limitless. Freud was an intensely private man. He read extensively, loved to travel, and was an avid collector of archeological oddities. Devoted to his family, he always practiced in a consultation room attached to his home. He valued a small circle of close friends to whom he was intensely loyal, and inspired loyalty in a circle of disciples that persists to this day. Jones, Ernest. The Life and Work of Sigmund Freud. 3 vols. New York: Basic Books, 1953–1957. Wollheim, Richard. Sigmund Freud. New York: Viking, 1971. Good Biography! You might consider relating some of his other works, such as [I]Civilization and Its Discontents[I], to his life. wow, reading this, i can almost relate to the experiences and interests that Freud had because i naturally like, as a hobby, to study people and how they behave as well as probing their thoughts and thinking pathways. I also started interpreting and analysing dreams when i was sixteen but didn't know at the time until a dream came true another sixteen years later. Since then i have been more conscious of my own dreams and kept tracks of what they were and what it might be. So far, i have had two vivid dreams that came true in real life. The first dream depicted 2 deaths in the family and the second one involved a spiritual confirmation. I am planning to pursue this learning pathway, to be a Psychoanalysis or psychologist. Right now, i am a teacher.